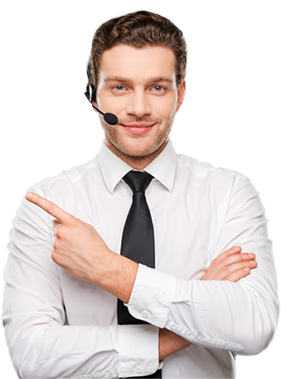 Just when you thought the great service you get from us couldn’t get any better. 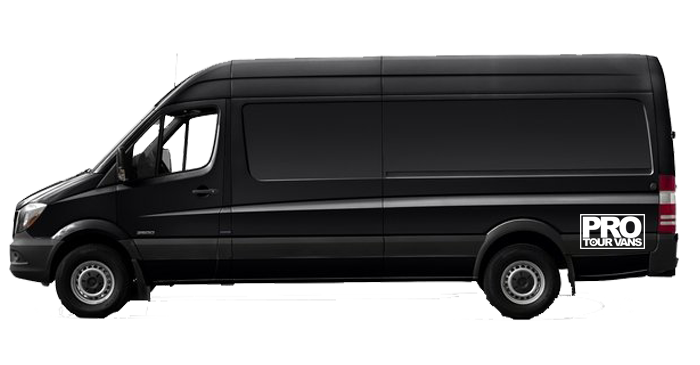 Pro Tour Vans now offers a nationwide customer Pickup & Delivery service, whether it be to your home, office or Airport! Start your journey with the luxury of a chauffeured transfer. Our Drivers can be waiting for you when you arrive at your location and drop you back off to your desired destinations. 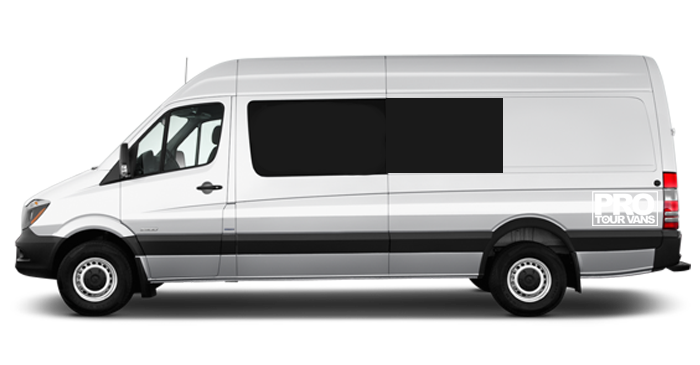 We value ourselves as one of the leading Splitter Van hire companies across the nation, offering the best daily rates for Luxury or Standard 9 Seater Vans. We offer a personal driver service so you can kick back and relax on your journey. Our experienced drivers are available to make your journey as smooth as possible. If you require your own personal driver service then please let us know in advance at the booking stage. If you wish we can provide you with backline hire through our associate partners who have the products and services available for your tour. Here at pro tour vans we always like to make sure that everything is how it needs to be. We have the facilities to cover your tour for your particular event. If you request further information then get in contact today. If you still require use of the van after the allocated time, then no problem. We offer a late vehicle returns service. This service will come at an extra cost for the late return of the van. Here at Pro Tour Vans we have three different drop off branches. If you were to pick the vehicle up from one branch and wanted to drop it off at a different branch at the end of your journey, then no problem! This service will occur an extra charge. Our one way rental service offers the customer to hire the vehicle from one of our collection locations without dropping it back off to one of the three locations. This service is used primarily for tours heading out of the UK into Europe with no intention of returning to the UK. A member of our team will head to your current location in order to collect the vehicle. There will be a charge for this service. For more information please contact us. One of our many drivers will be more than happy to deliver your vehicle anywhere across the UK to your chosen collection point. This service occurs an extra charge. For more information please contact us. We Pride Ourselves on Great Customer Service and Reasonable Rental Pricing! Pro Tour Vans ltd is dedicated to delivering excellent service to the customer with our fleet of self-drive Splitter Vans for hire. We are Based in Uxbridge, (West London) Heathrow airport, Birmingham West Midlands and East London, Essex. Here at Pro Tour Vans we cater for everyone’s needs whether it be for a road trip, Music video production, live bands etc. or for any other purpose that you may want to hire from us! This was our first time renting from Pro Tour Vans and we were very pleased with the whole experience. Our rental experience was good from start to finish, so we’ll definitely be back in the future! I love the service from Pro Tour Vans! The rental process was smooth and easy. I will 100% be back in the future. To hire a van from us, you must have held your license for over 2 years, with no more than 6 points on your license. Your Drivers licence needs to valid for it to be used against the hire of the van. All of our vans come fully refuelled with a £100.00 full tank, which gives your 400 mpg if driven at average speed 60 to 70mph. What is the Minimum Age to Self Drive Our Vans? Drivers who are under the age of 25 will have to be assessed and checked by our insurers as you must meet their requirements in order to drive the van. What is a Holding Excess Deposit? An initial booking holding deposit of £600.00 is required from the customer which will cover the insurance if the driver decides to make a claim on their insurance. Delivery and collection is available at an extra cost. Please contact us if you require further information. Can I Leave My Vehicle On-Site? You can leave your car on site at your own risk if you do so, when collecting and dropping of the van. Do We Offer Out of Hours Pick up and Drop Off's? Yes we do. We can certainly arrange out of hour pickups and drop off’s. Full details of this will be included once you collect the vehicles.